THE BROCHURE DID NOT LIE, THE HOTEL WAS IMMACULATE AND ALL THE STAFF WERE VERY FRIENDLY. ALL THE ROOMS GAVE A VIEW OVER THE SEA WITH THE SHORELINE LIT UP AT NIGHT. 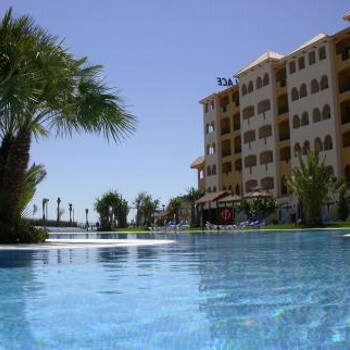 THE HOTEL IS WELL SITUATED JUST ON THE OUTSKIRTS OF FEUNGIROLA WITH A DIRECT ACCESS TO THE MAIN COAST ROAD. WE WERE THERE FOR JUST ONE WEEK AND WILL DEFINITELY RETURN FOR A SECOND VISIT. WE WILL BE RECOMMENDING THIS HOTEL TO ALL OUR FRIENDS. This was my second visit had been at the Beatriz in May 06 and found it excellent in every way would have no hesitation in recommending the hotel to any one. Beautiful location right on the beach ideal for family and couples alike should be rated 4.5 stars at least. Stayed here Feb 07 on a short 4 day break . Hotel was clean throughout and food was of a good standard but location was a little far out from Fuengirola centre. Perhaps because of time of the year I found this hotel more suited to business conferences with an influx of Spanish guests at the weekend. We were very impressed with the hotel and are going back in April. As we were on holiday in October, entertainment was scaled down. Hotel entertainment is not important to me anyway. The hotel was only recently built and is very impressive in its design. The rooms are very attractive with excellent views of the beach which the hotel faces. It is a good 20 minute walk into the centre of the town-but the location has its advantages. It is next to the old castle where there was a mediaeval fair taking place when we were there. It is also a 10 minute walk from the Miramar Parque indoor shopping centre which I found to be a very good mix of shops. only gave details of the spa treatments available. attractiveness of the hotel and its setting. The hotel bedroom and bathroom were very nice and we had fantastic view from balcony of beach and pool. Hotel pool was very large and attractive. Breakfast and evening meal were buffets, the food was plentiful. We didn't see any entertainment but it might have been too early as we stayed in May. The hotel was next to the promenade. There was a bar on the beach just along from the hotel where you could get lunch quite reasonably. The hotel is situated at the north end of Fuengirola, it is about 15 minutes walk to the centre along the promenade. We had a very pleasant stay and will definitely return for a short break. My son and I were the first English people to stay in this Hotel as it had just opened. The only comment I have to make is that it should have 5 stars & not 4 ! The food was superb,& the service excellent. My son & his family returned in '06 and he said that the high standard had been maintained. Travel operator: Booked on net.